This buckle shoulder bag expands for a surprisingly generous capacity. 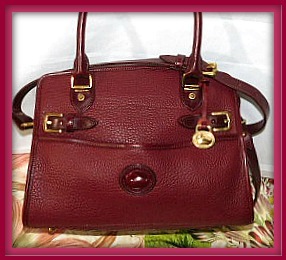 Few of these larger Rouge stylish Buckle Zip Top Dooney's are in circulation in such largely excellent condition! 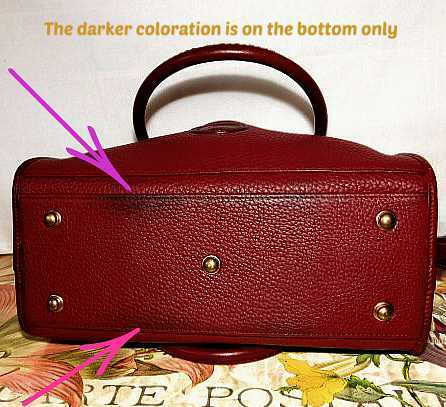 This bag is clean inside and outside with (see picture) the exception of 2 faint marks/discoloration on bottom and only seen when bag is turned completely upside down (does not show inside)--thus we are listing this bag in our BARGAIN BAG SECTION at a huge Reduced Sale Price!!! 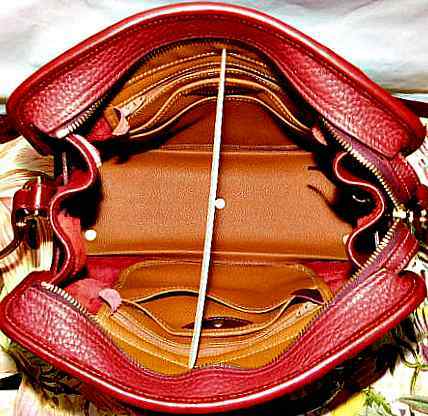 No returns on Bargain Bags and 100% guaranteed genuine Dooney and Bourke or your money cheerfully refunded! 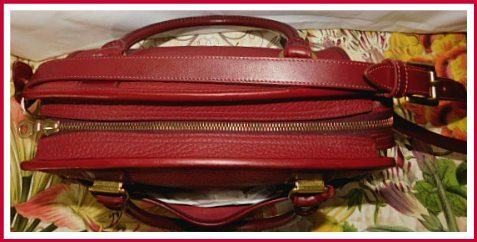 Dooney Bourke All Weather cross body shoulder bag in excellent condition; NOT NEW condition: Most of our bags have little sign of use-they have been meticulously restored. 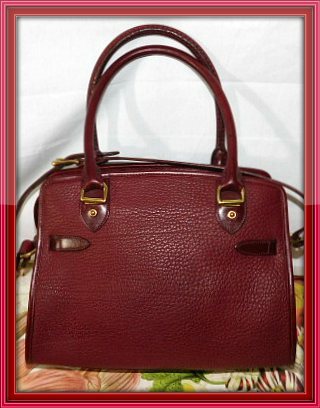 FREE USA SHIPPING ON ALL DOONEY & BOURKE orders of $100 or more. We Ship International! Pay at check out as usual and you will receive a Shipping Invoice for the exact postage amount! 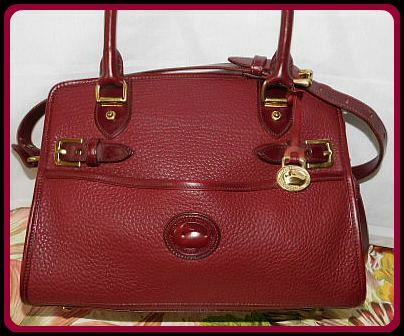 Jo's Note: "This extreamly rare Rouge color Vintage Dooney is so classy looking and well cared for. The color reminds one of a deep sweet burgundy wine. 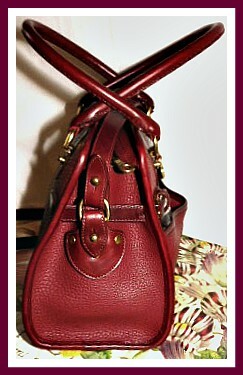 Enjoy our Bargain Bag pricing on one of the rarest, most difficult to find Vintage Dooney Buckle Bags!"